5 April 2019 – Vegan Neapolitan Night – Sold out! If We Can’t Reject Exploitation, Why Do We Expect The Patriarchy To Change? On the heels of this weekend’s Women’s Marches and TimesUp rallies, I want to ask one question: How do we expect The Patriarchy to shift the paradigm with respect to exploitation and objectification of women when we cannot shift the paradigm in our own daily lives with respect to our own exploitation and objectification of non-human females? To all those arguments, I say No! I say, TimesUp! When we speak of including all our most vulnerable Sisters, we must include our non-human sisters. They are vulnerable, like us. They are sentient, like us. And that is all that matters. Whether they are less intelligent – whatever that means – than us, or perceive the world differently and look totally different than us, makes not one iota of a difference to their interest in living and having the one fundamental right of not being considered an object, a thing to be owned and cast off when their use has abated. Just like it makes no difference to whether Women deserve fundamental human rights – whether we are born female or identify as female or anywhere in between – with varied colours, abilities, disabilities, sexual preferences, sizes and religions. The dairy and egg industries exploit female animals for their reproductive systems. They are exploited because they are female and that must resonate with us human females. Furthermore, these industries, and it is immaterial whether large scale or mom and pop, are just as deadly and awful as the “meat” industry because all the animals end up in the very same slaughterhouses. We must march for all our human Sisters. We must go vegan for our non-human Sisters so that our words of inclusion have full meaning. 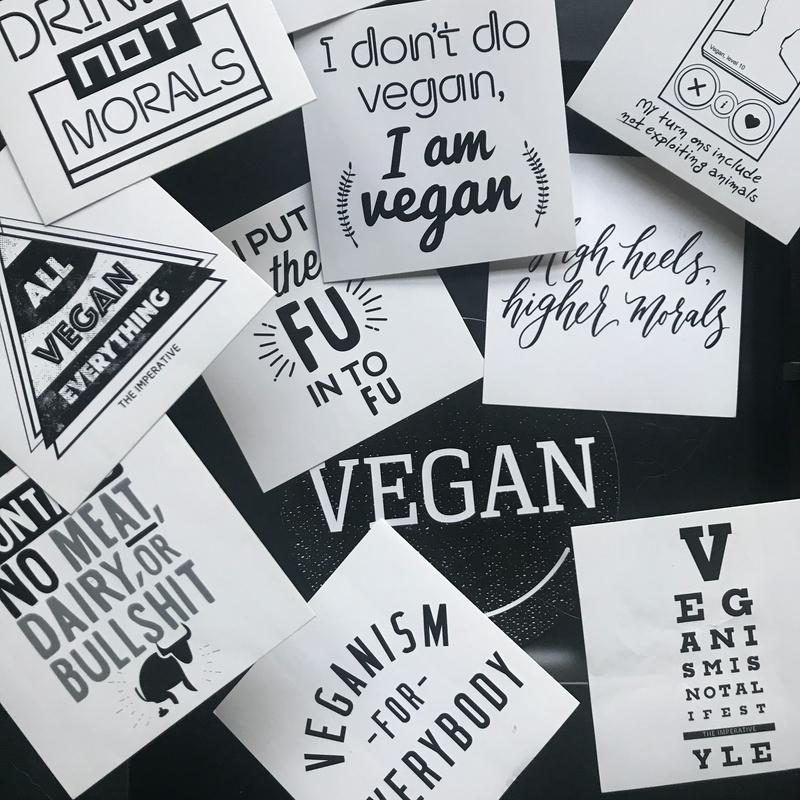 If we cannot reject the daily, gruesome exploitation and death of non-human animals and if we cannot imagine going vegan because we cannot give up a tasty dish, then how do we figure The Patriarchy is ever going to give up their tasty status quo? Why should they? Let’s march for all Women. Let’s get organised and make ourselves heard and let’s reject the products of violence and exploitation on our plates. Go vegan and educate others to do the same. Next articleEvents"IThailian" Night - Vegan Thai and Italian Charity Supper Club - SOLD OUT! All this was £12 with the most expensive thing per measure being the broccoli at £2. I bought this at the local fruit &veg monger in Dingwall 🏴󠁧󠁢󠁳󠁣󠁴󠁿 that has been there for generations. Some is local and most isn’t. This will last us for 5 days. If I had purchased these frozen or canned, it would’ve cost even less and been equally nutritious. So, when I hear that it’s difficult being vegan or expensive, I wonder what and where people have been eating. For example, I was listening to a podcast the other day with two people who had written for @jacobinmag about the environment. They downplayed and sometimes mocked eating plants while simultaneously saying we need to eat more plants. They said they wished everyone had access to farmers markets or time to cook and similar nonsense. You don’t need a farmers market (although they existed in many places in the US and are making a comeback). You don’t need a lot of time to cook. Roast everything in the oven if you want to cook it and you’re done in 20 minutes. Round all this out with some bean and some grains of whatever type you want. And even if you just use some salt, you’re done. That’s it. Stop spouting nonsense. And if indeed you’re somewhere where vegetables aren’t available - a true food desert - then the problem is the systemic one of poor people being treated the worst on this planet. And let’s address that instead of making excuses for why we don’t feel like eating plants. @blackcathackney is another of those few places in Town combining warmth, love and community with delicious 🌱 food. MrGoodEating and I popped in yesterday for a late lunch/early dinner. The chickpea (ummm... of course!) “chuna” 🐟 sammie for me and the ➡️ croquettes for Mr. Oh and the massive smoothies. All sooo good. And there were doggos 🐶 there which is always the best. We’ve still not been to their pop up at @roadtripbar! Gotta make time for that! !